This spring brought a familiar feeling for the La Joya Juarez-Lincoln Huskies boys soccer team. They were a force yet again. A season ago, the Huskies were a powerful squad — a team with a lot of talent, skill and offense. Enough talent to take Juarez-Lincoln to its first state tournament. The juniors from the run to state in 2017 became a veteran senior leadership group. But a talented freshman, Edson Fonseca, was the addition that the Juarez-Lincoln Huskies didn’t even know they needed for the 2018 season. His future high school teammates were introduced to him in the summer soccer league, and he continued to be a presence in December and through the season. Once the 2018 playoffs started, Fonseca found another gear, doing enough to earn The Monitor’s All-Area Newcomer of the Year honors. Leading up to the regional tournament, the powerhouse program played solid all over the field and was tough to beat not only within the Valley, but across Texas. “Really well” is the short version of Fonseca’s four games in the playoffs. 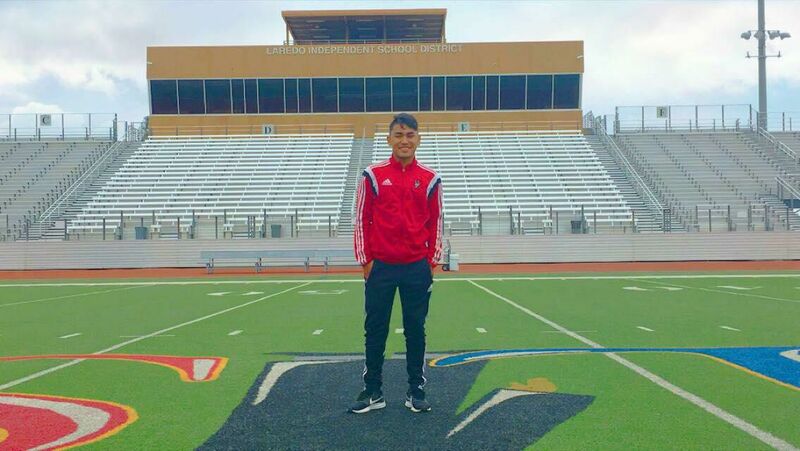 He set the tone with four goals in Juarez-Lincoln’s 7-0 bi-district win against Del Rio. In the area round, a 3-2 win against Edinburg Economedes, he scored twice, including a clutch goal on a rebound from a Gerardo Reyes free kick with 5:11 to play. He added another postseason goal in an 8-2 win against Brownsville Hanna to help the Huskies to the regional tournament, where they fell 2-0 to state finalists San Antonio Reagan. Ramos, whose program has an embarrassment of riches when it comes to talent, said the combination of the veterans like Reyes and the rookie Fonseca worked well. Next year, with the 2018 seniors out of high school, Fonseca figures to be a key cog in making sure the Huskies continue to set the standard for 6A boys soccer.